The HP 651A LaserJet Original Toner Cartridge delivers excellent results when printing business documents, presentations, and marketing materials. HP Color LaserJet toner cartridges deliver trouble-free printing with lasting results as they are designed for exceptional reliability - keep printing costs low and maintaining print productivity. With the smart features of original HP toner cartridges, you will be able to accurately monitor the use of cartridges. Automatic removal of the cover tape makes installation easy and fast. 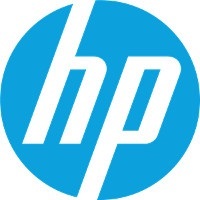 For shipping to other EU countries visit this page HP CE340A No. 651A. Chcete doručit zboží do Česka? Prohlédněte si HP CE340A č. 651A černý. Chcete doručiť tovar na Slovensko? Prezrite si HP CE340A č. 651A. Magyarországra történő kiszállításért tekintse meg ezt a termékoldalt: HP CE340A No. 651A.